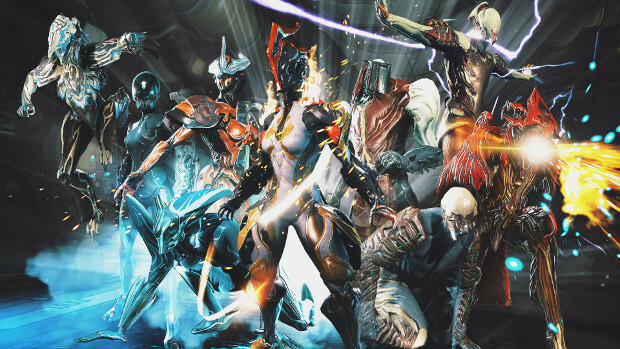 Today marks the release of Warframe‘s Shrine of The Eidolon update on PC. The update continues the action in the Plains of Eidolon where players will find two new mammoth creatures roaming at night. The Gantulyst and Hydrolyst are much bigger than the Teralyst players are accustomed to, almost twice the size. Not only that, but the Gantulyst is armed with a rock arm and the ability to fling massive energy balls radiating beams of energy in all directions while the Hydrolyst creates toxic storm clouds that deal constant damage. Basically, they’re going to be a handful. To help players hunt down these two massive creatures, the update also includes a new airborne craft that will allow them to power-glide across the Plains — the Dargyn. On another note, Digital Extremes has decided to bring Trials to a (temporary) end. This will occur on PC first, and later roll over onto consoles once all the certification stuff is done. According to a post on the Warframe forums, this decision was based in part on the fact that the developer feels its time would be better spent on other projects for the time being. IMO – Raids needed a look at and the additions to plains is welcome.